Why enter your work? The short answer is you’re really good at what you do. The slightly longer answer is your work deserves recognition and it can help you attract clients, reward staff and find inspiration. The entry deadline is Thursday, May 9th, 2019. There will be a Happy Hour that day from 6:00 to 8:00 at a location TBD. You can bring your boards to this event and hang out with the Creative Pros of [CP]2. All work must have first appeared in the media or launched between April 1, 2018 and May 9th, 2019. All work must have been the result of paid creative services and media placement in the normal course of business. Competition is open to companies, agencies, institutions, and individuals located in Central Pennsylvania. 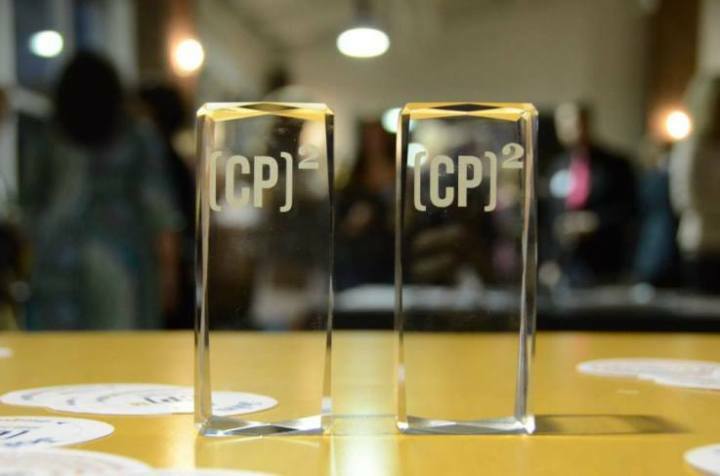 You do not need to be a [CP]2 Member to enter your work. Categories are listed in our online submission system. Please note that you must indicate the audience as Institutional/Non-Profit, Business to Business, or Business to Consumer. Note that we also need your work (excluding Audio, Video, Online/Digital, Three-Dimensional) mounted on black foamcore boards to display at the Brackets Gala. In addition, you will be required to provide a high resolution RGB or CMYK JPEG(s) for each entry during the submission process. Upon submission completion, please add up your totals and make payment online. Each print and flat-art entry MUST be mounted on EXACTLY an 18 inch x 24 inch (HORIZONTAL OR VERTICAL) black foam core. Print series samples can be reduced in size to collectively fit on the 18×24 board. Multiple-page entries (magazines, brochures, etc) can sit within a pocket–which is to be mounted to the board. Large books do not need to be mounted. Print out your entry form for each submission and tape it to the back of your entry board. Bracket Awards are either Gold or Silver. Entries are not judged as best and second best. Rather, these awards are a measure of excellence. As determined by our panel of judges, any entry that reaches the Gold or Silver level will receive that award. That means for some categories there will be multiple Gold and Silver Awards. For others there may be none. Our panel of judges solely determines what rises to the level of Gold and Silver. Winners will be announced at the 2019 Bracket Awards show. One award trophy will be given per winner—additional trophies may be ordered. If you have any questions please contact one of our Bracket committee members. You can start with Trevor Calabro or Mark Dello Stritto.